Canterbury's Famyne show talent and promise with this pro-quality debut EP. Famyne hail from Canterbury, a historic city notable for being home to the Primate of the Church of England, having the highest proportion of university students in the country, and being one of the most popular tourist destinations anywhere outside London. It also has a proud musical history, having given rise to the collective Prog/Avant-Garde Canterbury Scene in the '60s/'70s with bands like Caravan and Soft Machine. In short, a vibrant place where an unconventional artistic bent can positively thrive...which is handy, because that's the sort of spirit which underpins the 'Famyne' EP. 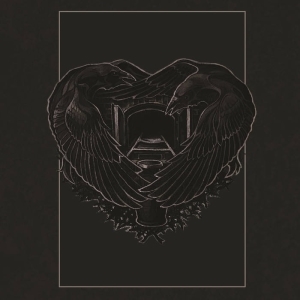 Clearly, the very mention of Epic-tinged Trad Doom invites a number of fairly standard and often quite dismissive comparisons with a number of obvious genre founders, as well as the opportunity to complain about histrionic clean vocals, and perhaps bandy 'retro-' about as a pejorative, before ending with a perfunctory shrug of 'not exactly groundbreaking'. And, as with all good cliches, there's at least a grain of truth to them here. It's far from the whole story, though, as this is rather definitely a child of its time rather than a sonic refugee from the late '80s. 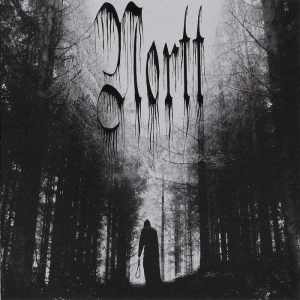 Monster big riffs, some Iommi-esque guitar, vocals that pitch somewhere between the delivery of Rob Lowe and Messiah Marcolin and a Solstice-like combination of sword-and-sorcery, NWOBHM and Epic Doom rub shoulders with '90s Alice In Chains/Soundgarden Grunge/Metal, and post-millennial Occult Rock à la Blood Ceremony. Perhaps the most obvious reason to cite 'post-millennial', rather than 'retro-' is the professional production, which is - particularly for a self-release - thoroughly modern and excellently implemented. There's a crisp clarity giving every instrument space in which to work, especially noticeable when paying attention to the extensive detail of the bass lines and drumming - both of which contribute considerably to the satisfying, yet smooth, heaviness on offer. Features like background wind and thunder are distinct and audible, and when the main guitars-and-vocal stage takes to the foreground they do so with a forceful and rich tone that complements the percussion well. Leaving aside the bonus track for a moment, the EP spans three tracks, each of which sets out a quite distinct stall. Opener 'Enter The Sloth' presents the clearest Trad sound, with a 'Samarithan'-esque Candlemass vibe. 'Tower' best shows the most outright Metal, in a pacy Solstice-meets-Soundgarden way. And then 'The Forgotten', clocking at over 10 minutes, is where the band really wander off to do their own thing, throwing in some proggy psychedelia, a soupçon of Desert Rock, a hint of Middle Eastern ritualistic sound, and a film sample (Boris Karloff, in the 1933 version of 'The Ghoul', for fact-fans everywhere) to tie it all together. Wilder and harder to pigeonhole than the other two, this track, for me, is the highlight - showcasing the unconventiality of spirit referred to earlier. The somewhat-repetitive riffing in the final third lets it down a little, compared to the slick variance of the rest of the EP, but even so, it's the piece which shows the most promise as far as developing a unique compositional identity, spanning a whole range of different elements, is concerned. 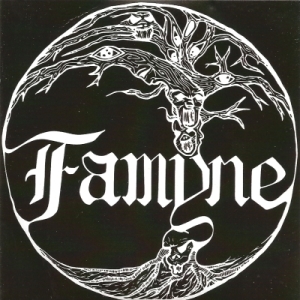 That said, even when heading down more familiar roads, it's hard to fault Famyne's execution: they're clearly talented, on an individual and collective basis, and the vocals, unlike some within the genre, demonstrate power and range with convincing character rather than melodrama. 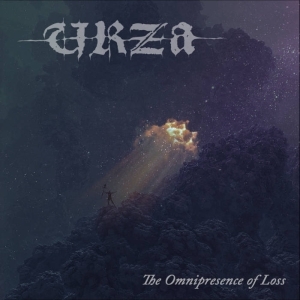 Purchasers of the CD version get a bonus download of 'Long Lost Winter', which sounds like it was probably recorded earlier and carries something of a rough and raw 'New Dark Age' stomp to it. A nice addition, but not an essential one compared to the body of the EP. Which, if it isn't already obvious, is one I'm commending as definitely worth investigating: it's done well, there's a lot of skill and potential on display, and if it is a little short and sweet and hasn't quite carved out a completely distinct place for Famyne yet, well, it is still just a debut release. A band to watch out for in future: I think they could seriously go places, based on this.